We manufacture and repair leaf springs for Trucks, buses, trailers, bakkies and automobiles, U-Bolts & Centre Bolts. Over the years we have built up a large clientele of satisfied customers. In the repair division, springs are reset, repaired and reinforced with extra blades for loading purposes. We are able to carry out all modifications according to your specific needs. 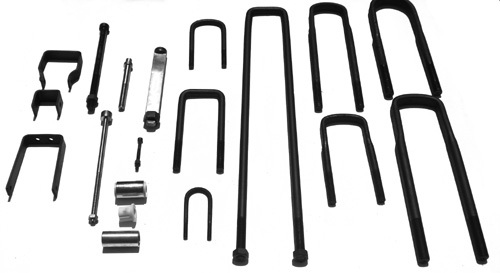 We manufacture all types of trailer spring kit form or loose parts, made in slipper eye or double eye form. We make all types of U-bolts to sample and specification. We carry a wide range of centre bolts. Out bushes are made from polyurethane as well as brass. We do offer a fitment of springs to cars, bakkies, trailers and most light passenger vehicles at our premises.